IxDA Dublin is completely volunteer run. Your team of local leaders are ready to hear your feedback, suggestions for events or actions, ideas around sponsorship and content, or offers of time to volunteer and support IxDA. 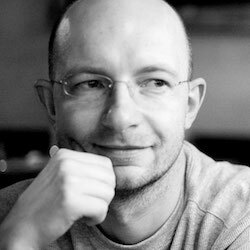 Filip joined IxDA in 2010 and has been leading the chapter since 2011. He is also a core member of IxDA Europe. Filip has over 10 years of experience working with companies in consumer products, financial services, telecommunications, public services, and charity sectors. He helps organisations to form better connections with their customers through thoughtful design. Filip specialises in service design and design strategy and is currently working as a Service Design Lead at Optum Ireland, a health services and innovation company. 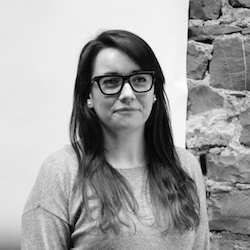 Laura Nolan is a Senior UX Designer at Each&Other and an IxDA Local Leader. 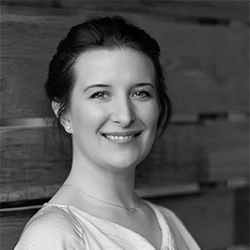 For 5+ years, Laura has been designing delightful customer experiences for clients such as Google, Fleetmatics, Bord Gáis and Zurich. A recent graduate of the Masters in User Experience Design in IADT, Laura spent a year researching chat interfaces and chatbot personalities to benefit user experience in the banking sector. 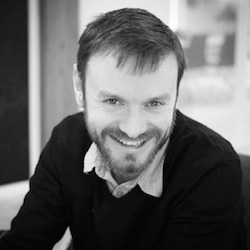 John joined IxDA in 2011 and became a local leader in Dublin in 2017. He has spent 15 years on a journey from software development for immersive multimedia environments, web apps and mobile, through to human-centred interaction and service design. A graduate from CIID in Copenhagen, John has worked with projects involving automotive, consumer electronics, healthcare, education, local government and urbanism. 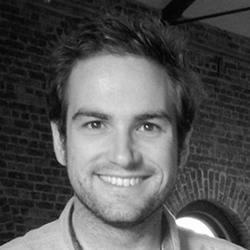 He now works with Fjord at The Dock in Dublin as a Service Design Lead. Jen works with Accenture at The Dock in Dublin’s docklands. She leads the design and delivery of client innovation sessions and is also the client engagement lead for Dublin Labs. She enjoys using her design thinking facilitation skills to approach complex strategy questions. If she’s not at her desk she’s usually found tinkering in the Makerspace – she’s a consummate geek and loves to experiment. She firmly believes that “there’s nothing that can’t be done – you just have to find the way to do it”. Ed is an experienced interaction and service designer with Accenture Interactive, he has an entrepreneurial spirit and has spent several year’s working in design and innovation.